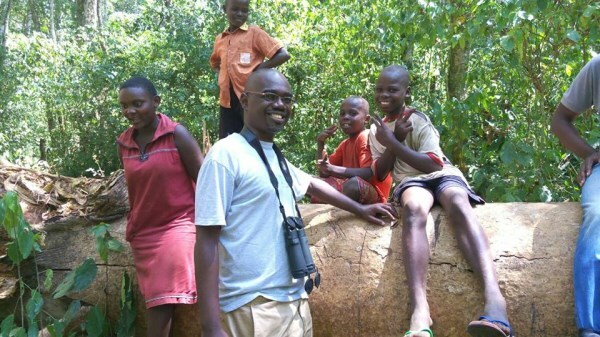 Mpanga Forest Eco-tourism site is situated 37km away from Kampala city, enroute to Masaka. Previously the Forest reserve was only reserved for scientific research. However today it is also a perfect destination for bird watching and a day or weekend escape from the city. It has over 550 tree species with some trees over 100 years old and over 220 bird species. Our 1 day excursion to this site was so exciting especially when it was time to see the White spotted fluff tail. This shy bird is not easily seen until you imitate its calls. 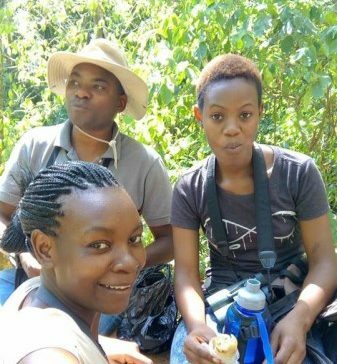 On our trip we were lucky to have Arshely Brian an avid birdwatcher on our Destination birding team who can imitate the calls naturally. He managed to call it up several times for us to see. You should have to see the anxious faces and smiles of the team before and after it was spotted. If you missed it, Brian was always ready to imitate its call so that you have a glimpse of this shy bird. It is always amazing to see him imitate the bird calls. It is recommended to stand still or even take cover to avoid disturbing its presence until it comes out of its hideout. It does not stay long since it will has missed ‘meeting’ its imitator (bird) but for birders in the midst, the mission is accomplished. Arshely Brian our expert bird imitator with a friend. Our main mission of the day was bird watching so that we can polish our bird identification skills and also relax away from home. Our walk through the forest trail about 3km stretch to the swamp was worth it. It gave us a chance to enjoy the fresh air and also exercise your legs. During our forest walk to the swamp,we went off track,thus getting lost.We were lucky to meet young firewood harvesters who volunteered to lead us to the swamp. In this porous forest, firewood harvests are only allowed for fallen tree branches (i.e Old trees that fall naturally. Cutting of trees is illegal). This young team (Justine,Brian,Joel and Joram) with their dog in pursuit did well to show us some areas we had missed. We gave them a tip as a token of appreciation. Red headed Malimbe ,Splendid glossy Starling ,Green Backed Camaroptera, Red cheeked Cordon Bleu, Black and white Shrike Flycatcher ,African pied Wagtail , Vieillot’s black weaver ,Copper Sunbird, Scarlet Chested Sunbird ,Green Sunbird ,Pintailed Whydah. Other bird species sighted included; Yellow throated Longclaw ,Eastern Plantain-eater, Brown backed Scrub Robin ,Dark capped Bulbul, Green throated Sunbird ,Northern grey headed Sparrow ,Black and white casqued Hornbill, Crowned Hornbill, Great blue Turaco, Blue throated roller, African Harrier Hawk, Ayres’ Hawk eagle, African Harrier Hawk. We also sighted a Lesser bush baby and Red tailed monkeys. 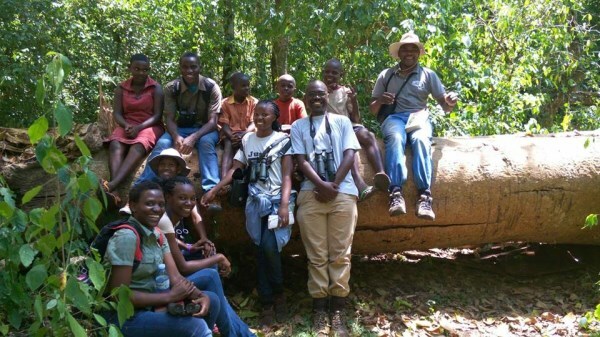 Therefore a visit to the eco-tourism site is so rewarding that you have a full plate of activities like Forest walks, bird watching, butterfly identification and primate watching. You will also have a place to relax after a day’s adventure in the forest. Accommodation is available too for those who who like to spend more days away from home. It has double and twin rooms,space for camping and self catering facilities.For a day’s excursion,I recommend that you carry your own snacks. Birding can be done twice in a day that is early morning when birds are still in their nests, leaving or hovering around their nests in search for the day’s meal and in the evening when they return to their nests for a night’s rest. Also shopping for crafts can be done on your way back at Mpambire trading centre along the main highway. Items available for sale include Baskets, Mats, Drums, Stools and a variety of household tools. 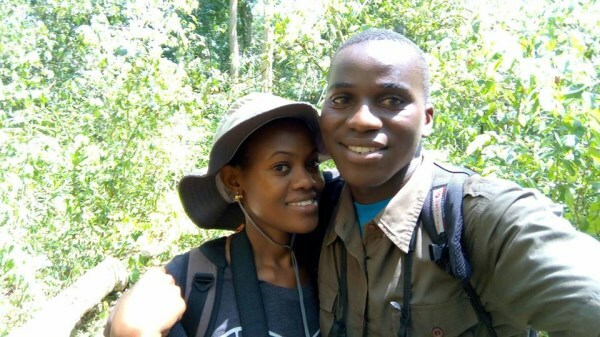 You can extend your holiday to other exciting birding and wildlife destinations at Lake Mburo,Bwindi Impenetrable Forest and Queen Elizabeth National Parks.